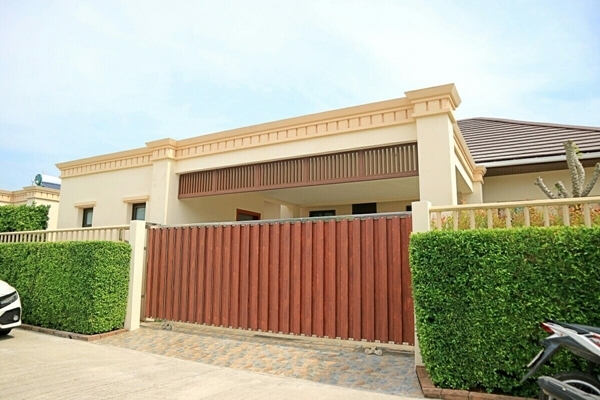 Hua Hin, Prachuap Khiri khan. 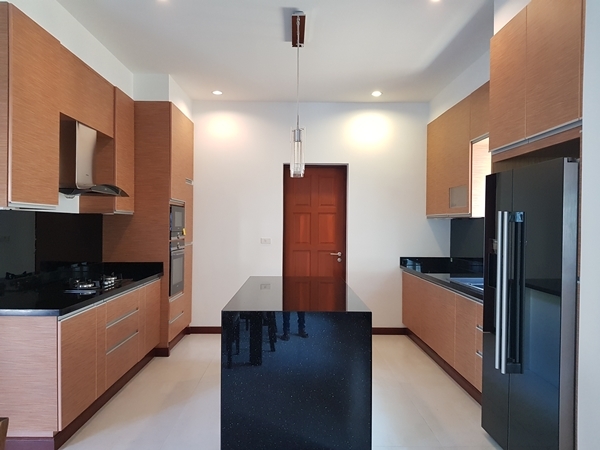 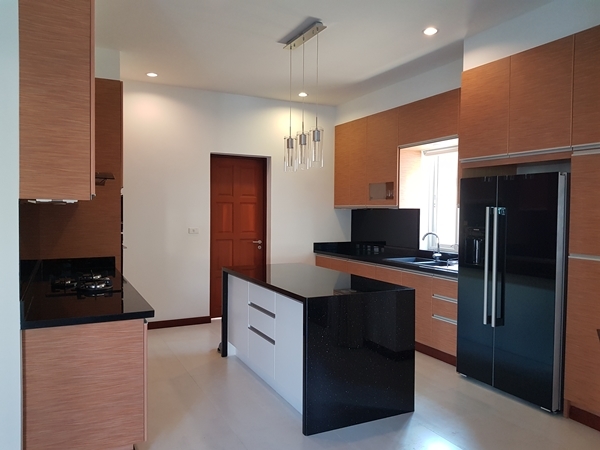 We are pleased to present this well designed and constructed 4 bedroom+ officeroom / 4 bathrooms, pool villa from a well established Developer. 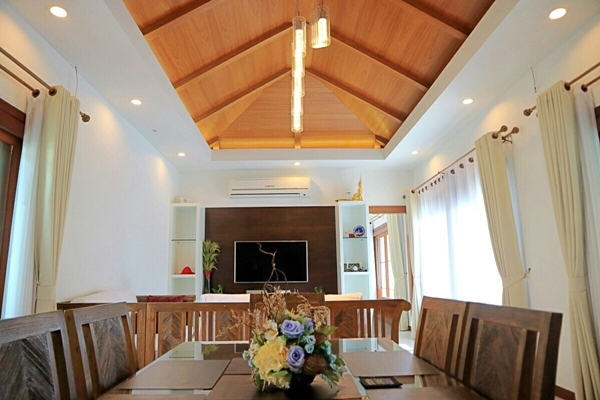 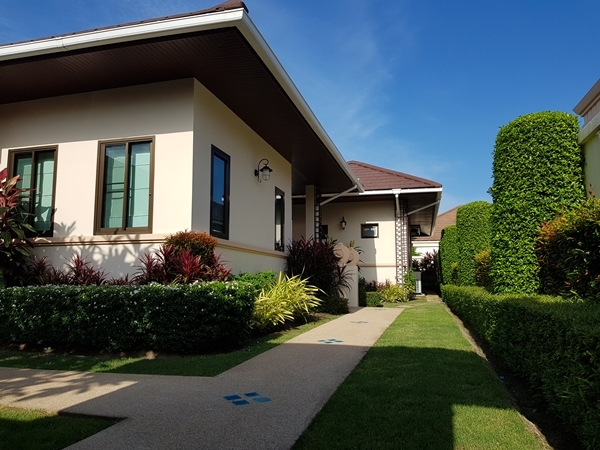 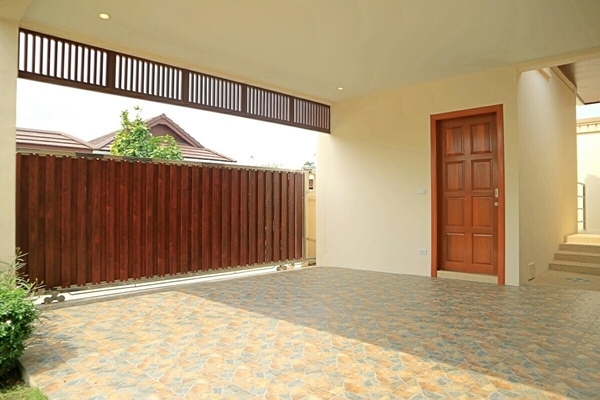 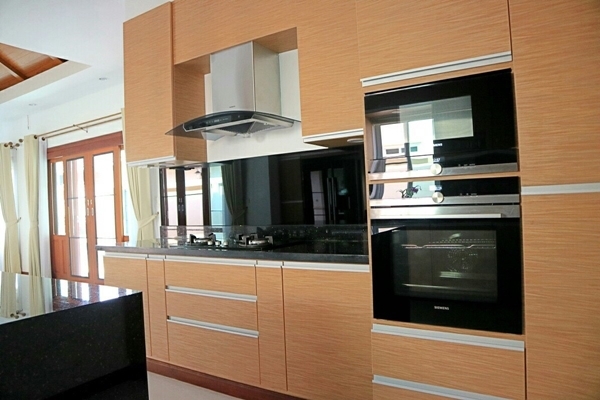 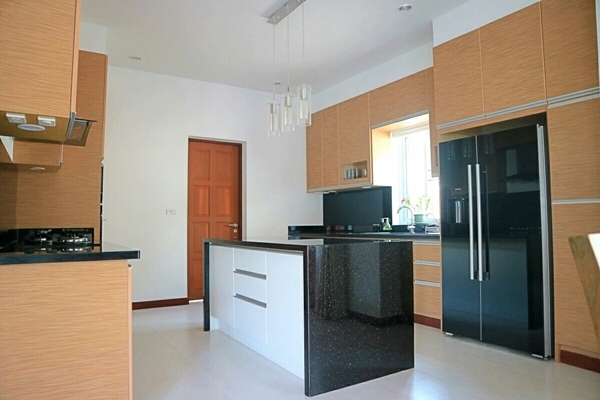 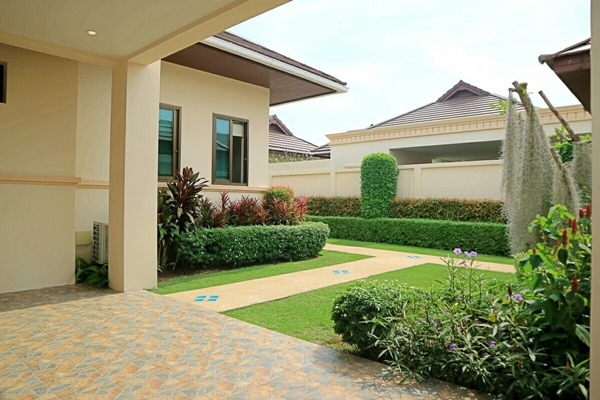 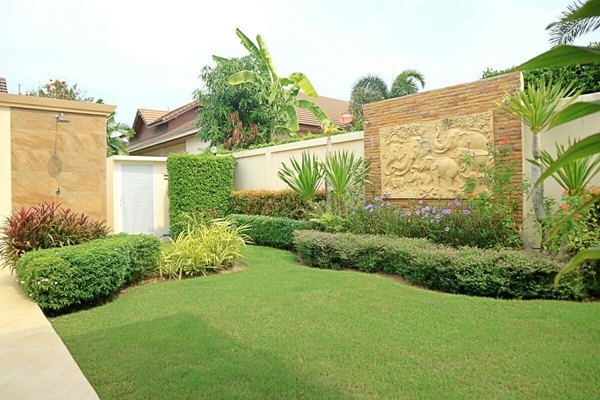 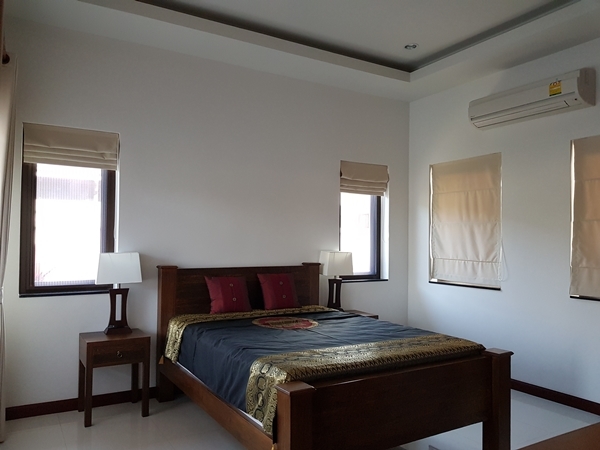 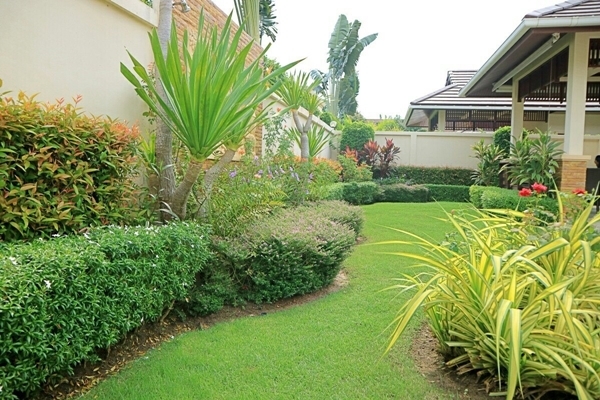 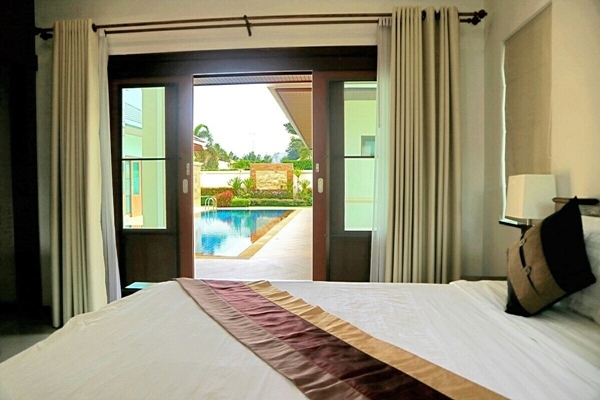 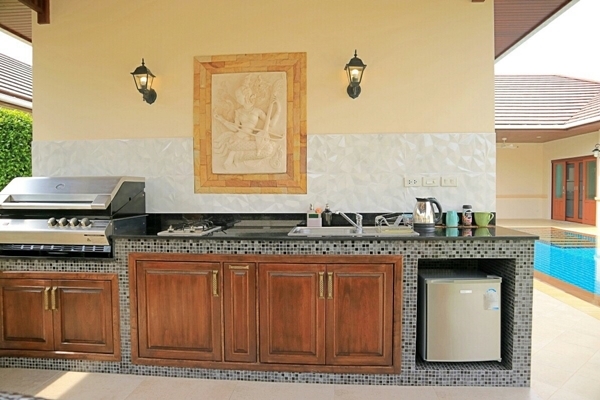 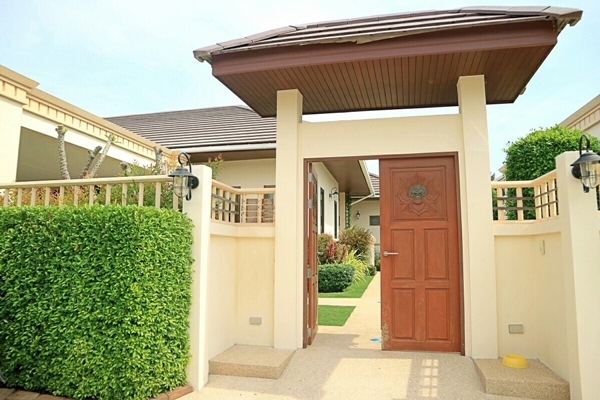 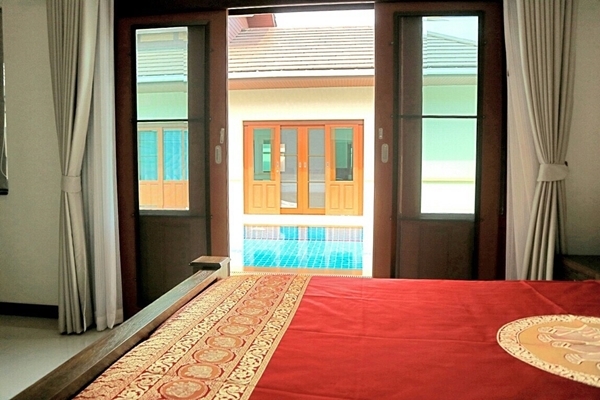 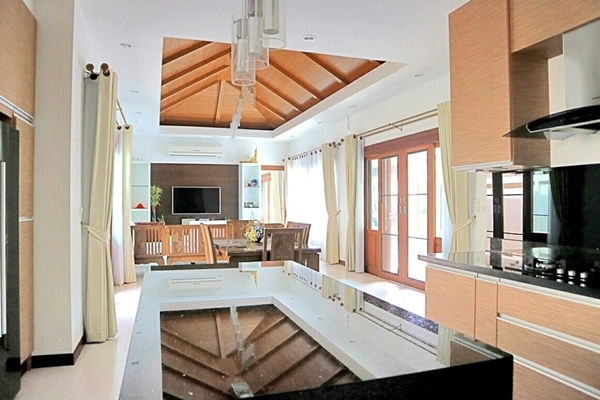 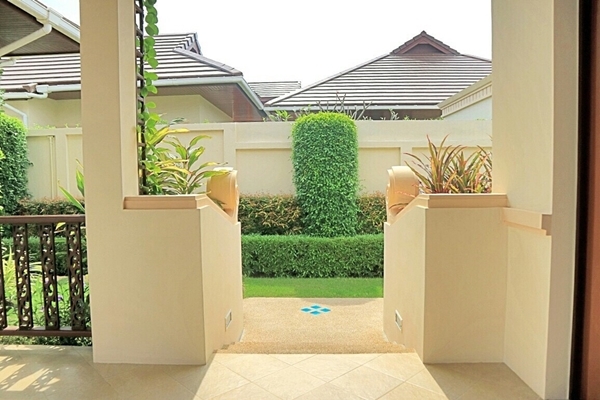 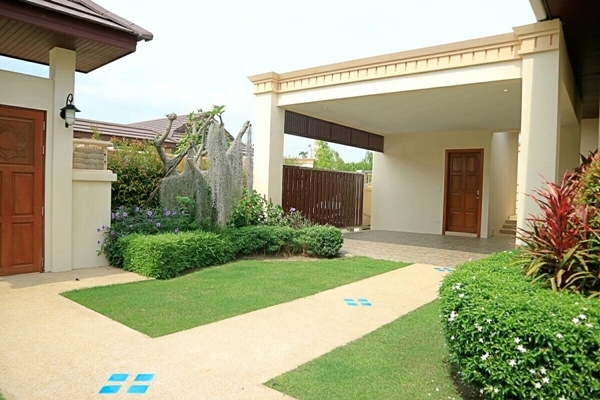 Quiet & secure, 5 Villa compound, fully furnished. 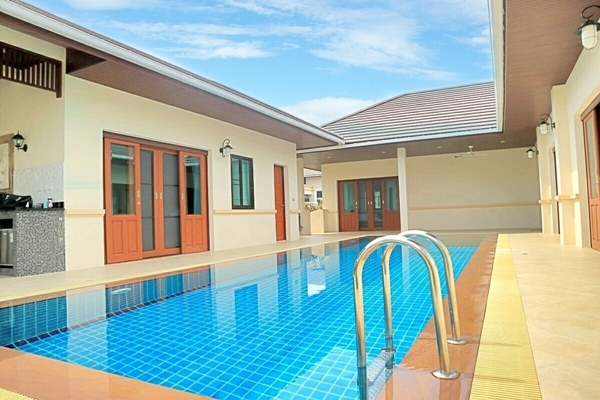 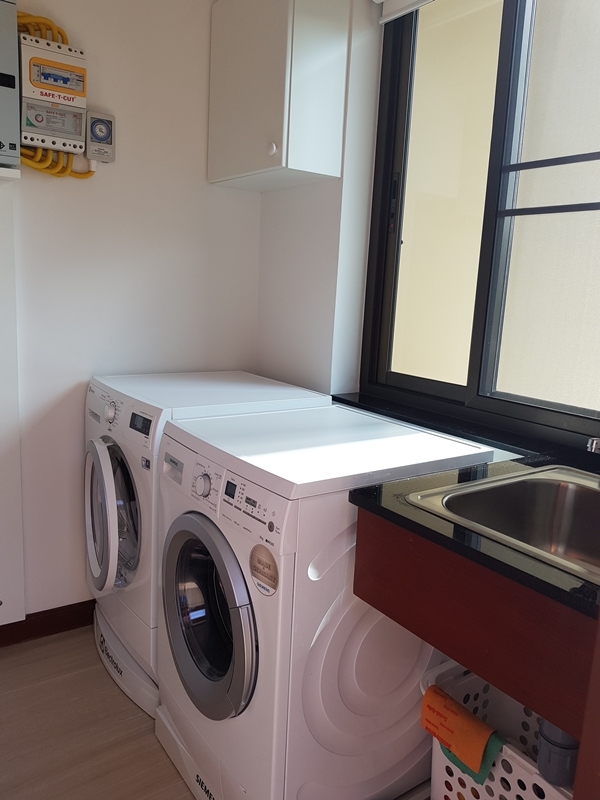 This villa has been improved over standard to give extra features listed below. 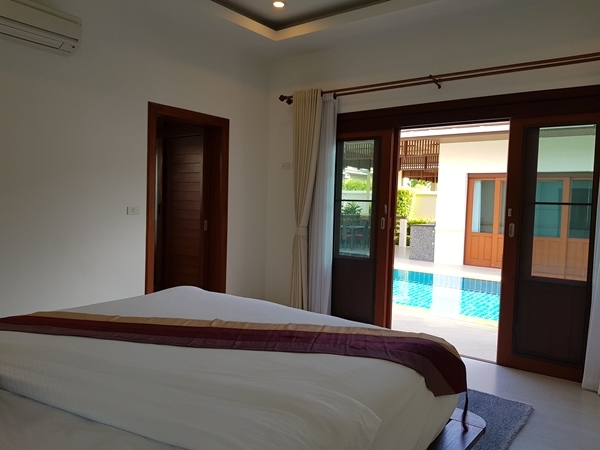 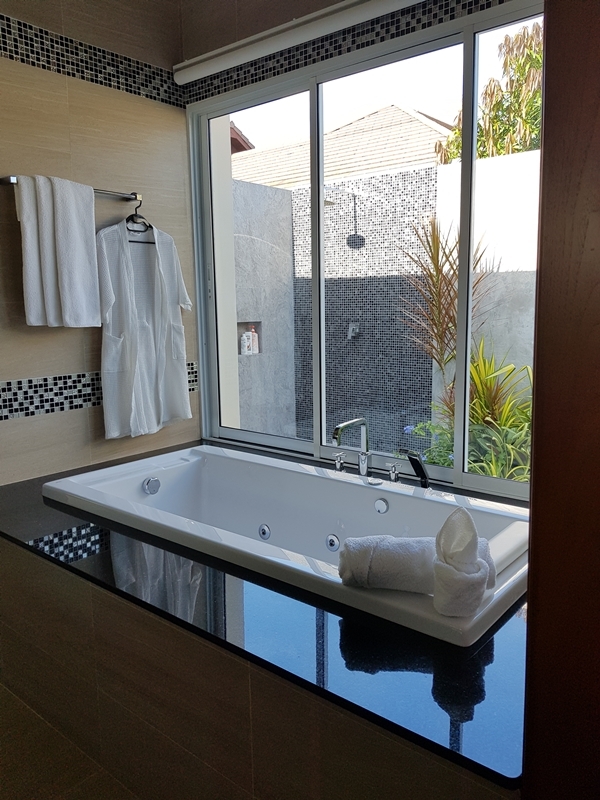 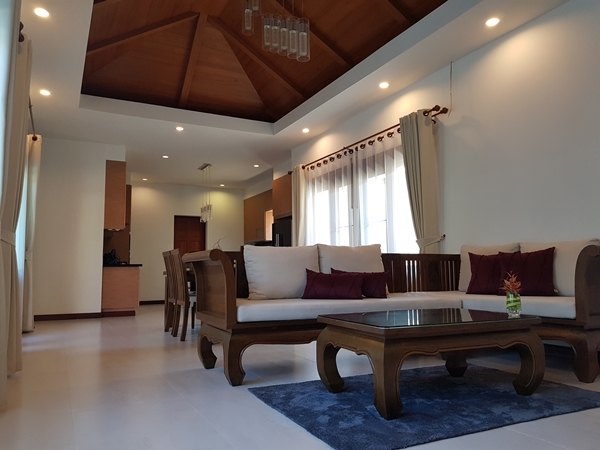 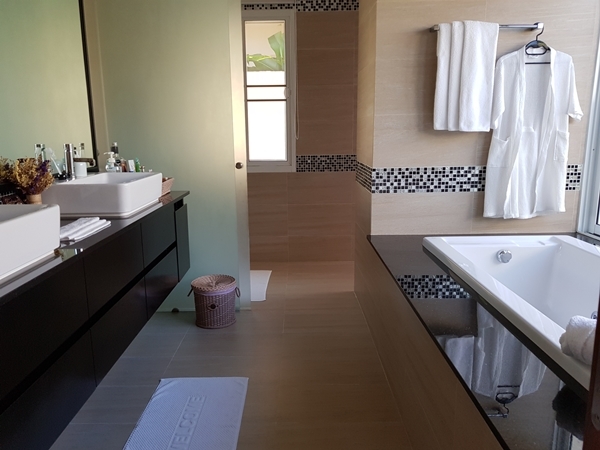 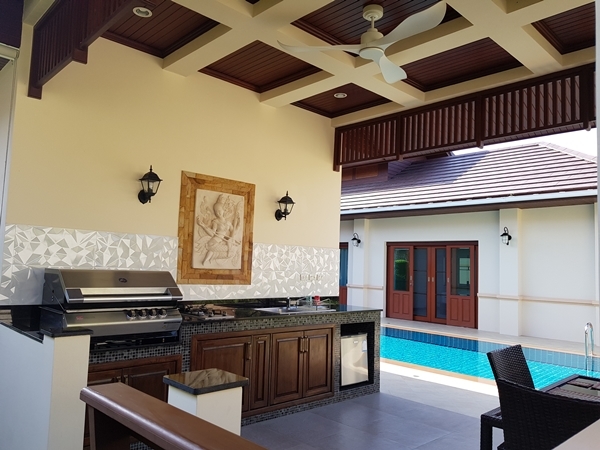 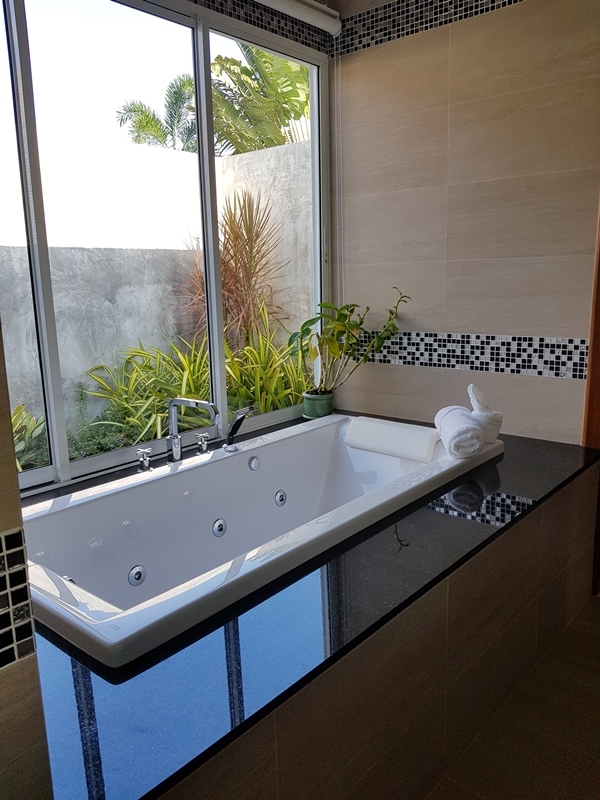 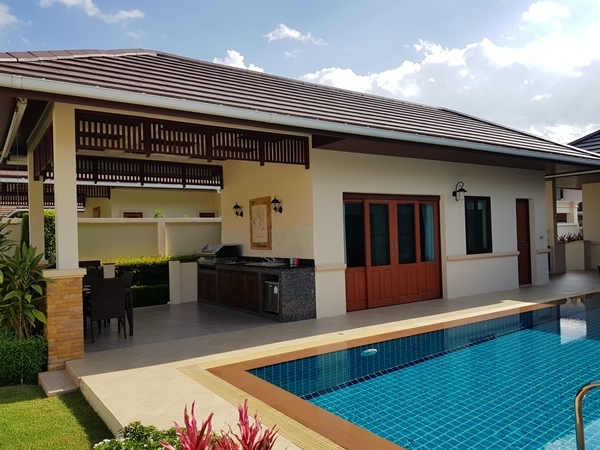 The Villa provides an open plan living, dining and kitchen with access directly to the carport with adjacent office room, bedroom swimming pool view, covered terraces, Sala, and easy to maintain garden. 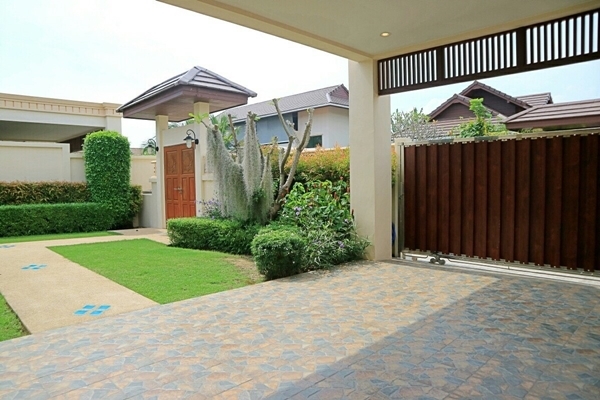 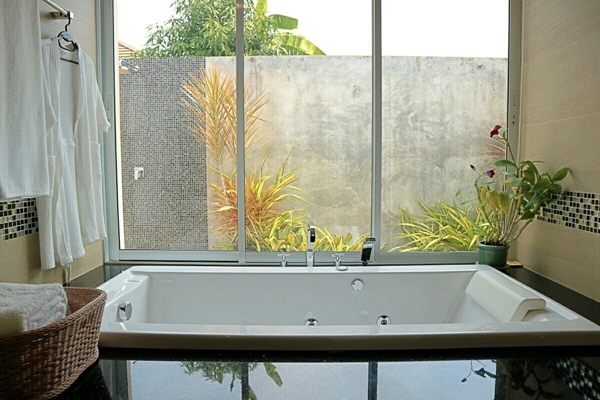 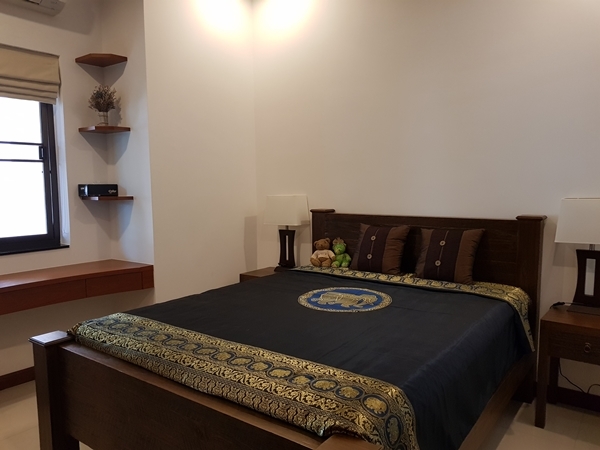 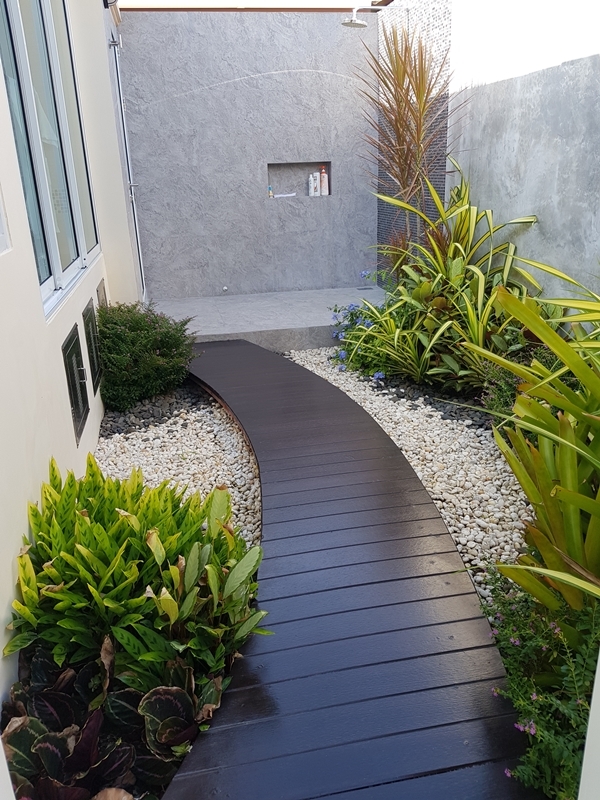 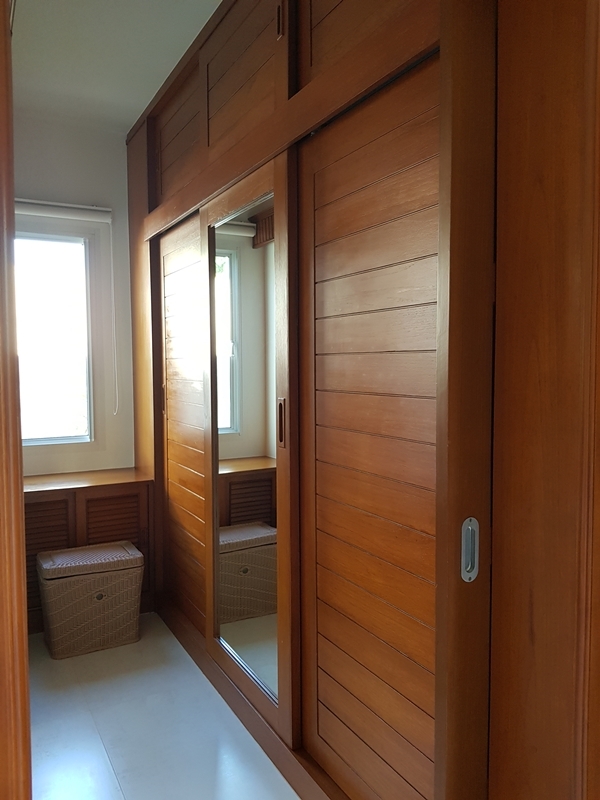 The style is tropical fusion between Thai and Bali, which is very popular for many Buyers looking for Asian design with the most up to date materials. 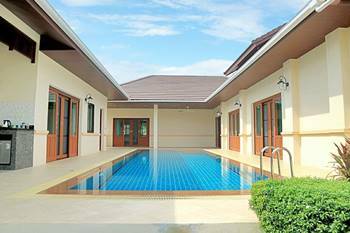 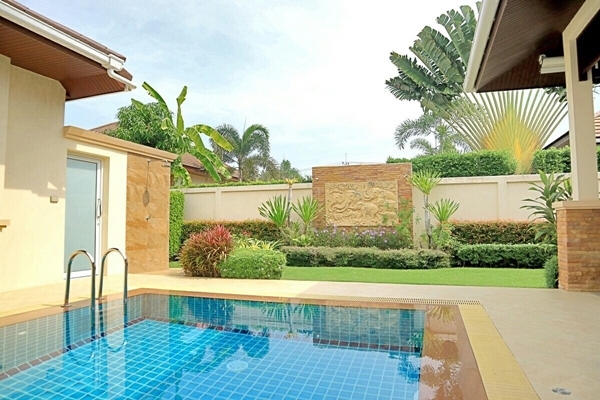 • Overflow saltwater swimming pool 12×3.5 Sqm.